BAGUIO CITY – Some P20 million was earmarked by the local government in its annual budget this year for the purchase of additional four more garbage trucks to augment the city’s current fleet that will contribute in efforts to improve the collection of garbage in the 128 barangays. City General Services Officer Eugene Buyucan, who was one of the guests during the monthly City Hall Hour press briefing held at the Baguio City multipurpose hall Tuesday, said the budget will only be enough for the additional 4 garbage trucks considering that one truck costs approximately P4.5 million. Currently, the local government has 12 garbage trucks and 2 compactors that operate round the clock to guarantee the collection of garbage in the different barangays during the scheduled collection days while the city needs at least 25 garbage trucks to be able to operate on a 2-truck system in the collection of biodegradable and non-biodegradable waste from the staging points around the city. “The local government will continue to invest in the purchase of additional garbage trucks in the coming years so that we will be able to reduce the operating hours of the existing fleet and help prevent the rapid deterioration of the serviceable garbage trucks that are over ten years old,” Buyucan stressed. 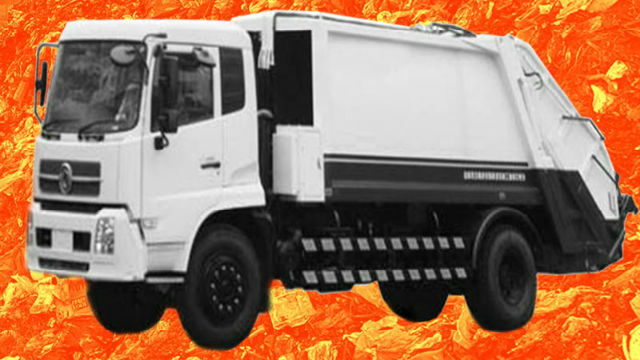 Under the proposed 2-truck system, one truck will be devoted to collect biodegradable waste while another truck will be devoted to collect non-biodegradable waste but the said trucks will go to the barangays to collect the waste simultaneously to prevent the occurrence of garbage crisis in the city in the future. According to him, the practice is that the city’s garbage trucks which are capable of hauling some 6 to 8 tons of garbage from the barangays bring the collected garbage to the temporary staging area within the portion of the Baguio Dairy Farm where the trucks dump the collected garbage to the trucks of the hauler which are capable of handling more than 20 tons of garbage before it will be compacted and brought to the sanitary landfill in Urdaneta City, Pangasinan. Buyucan underscored that the local government is strictly adhering to the no touch ground policy being imposed by the Department of Agriculture (DA) and the Environmental Management Bureau (EMB) pursuant to the temporary permits issued for the temporary use of the 1-hectare portion of the Baguio Dairy Farm as the city’s temporary staging area in response to the clamor of residents living around the area regarding the alleged obnoxious odor emanating from the garbage being transferred from the city’s garbage trucks to the hauler’s trucks before being transported outside the city. If there are residual waste that are left out in the area because of unavoidable reasons, he claimed that the garbage that was left will not be allowed to be in the staging area for over 24 hours, thus, the personnel of the local government and the hauler are vigilant in making sure that there will be no garbage that will be unnecessarily left out in the place. The general services officer rallied residents to improve their compliance to the no segregation, no collection policy to help in significantly reducing the volume of waste being hauled out of the city and save the necessary amount of money that was earmarked for the purpose.